St Oliver Plunkett was born in County Meath, Ireland. His family were of noble heritage. He received a good education and chose to join the priesthood. He studied in Rome and was ordained a Priest in 1654. St Oliver was unable to return to Ireland immediately after his ordination. This was due to the aftermath of wars between Irish Catholics and English/Irish Protestants in which Catholicism was banned and Clergy executed. On his eventual return, he became a central figure in the reorganising of the ravaged Roman Catholic Church, building schools and seminaries and re-establishing the Catholic faith. He is said to have confirmed more than 48,000 Catholics over a 4 year period. However, further anti-Roman Catholic feeling was generated through a fictitious claim of a Catholic conspiracy to execute King Charles II and, St Oliver Plunkett was arrested and put on trial in London. Despite the many flaws during his trial and the many requests for clemency, he was found guilty of “promoting the Roman faith” and sentenced to be hanged, drawn and quartered. 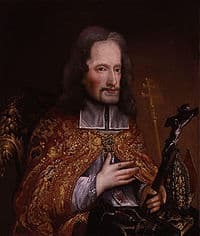 The Chief justice told St Oliver Plunkett, “You have done as much as you could to dishonour God … your treason was setting up your false religion … there is not anything more displeasing to God, or more pernicious to mankind in the world”. He was the last Roman Catholic martyr to be executed in England. Pray for us that we will proudly profess and practice our faith until the day of our death.